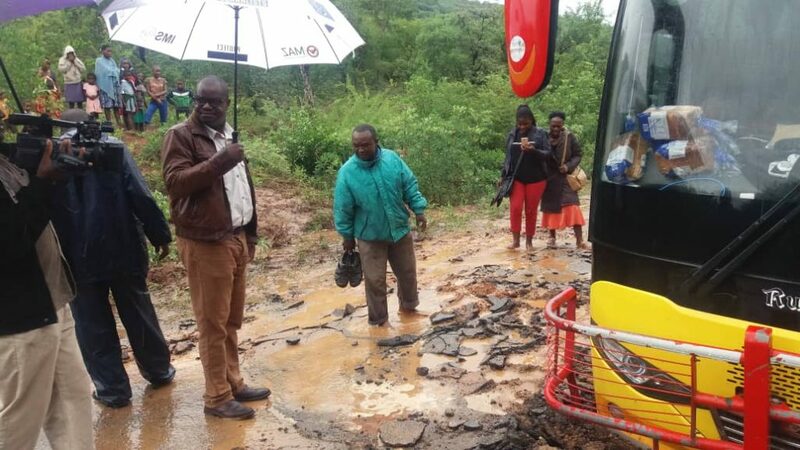 Cyclone Idai destruction has resulted in some tarred roads in Manicaland giving in to the weight of vehicles. Some buses have got stuck in the road. The destruction of infrastructure has increased the difficulty of accessing victims of the flood that need humanitarian assistance, especially in Chipinge and Chimanimani. Several roads and bridges in the two towns have been destroyed. 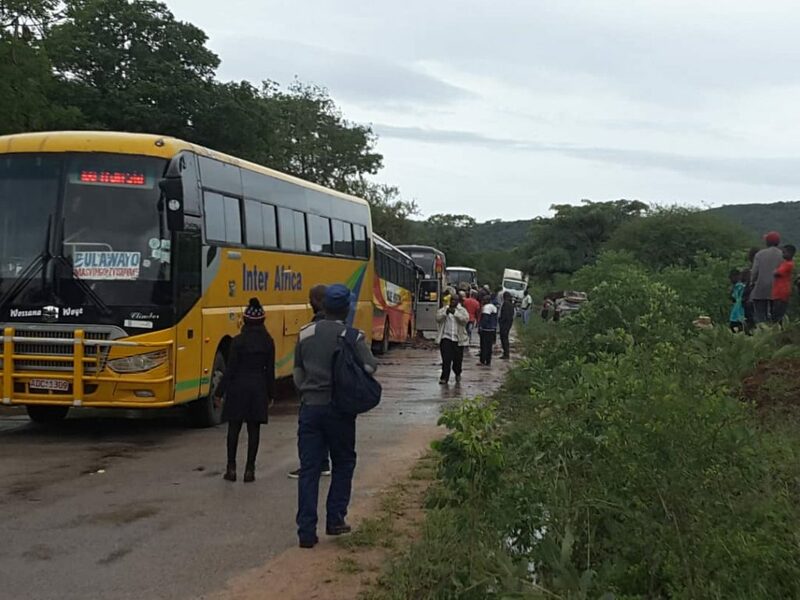 The pictures below show buses near Tanganda Tea Company along the Chipinge-Tanganda Road. 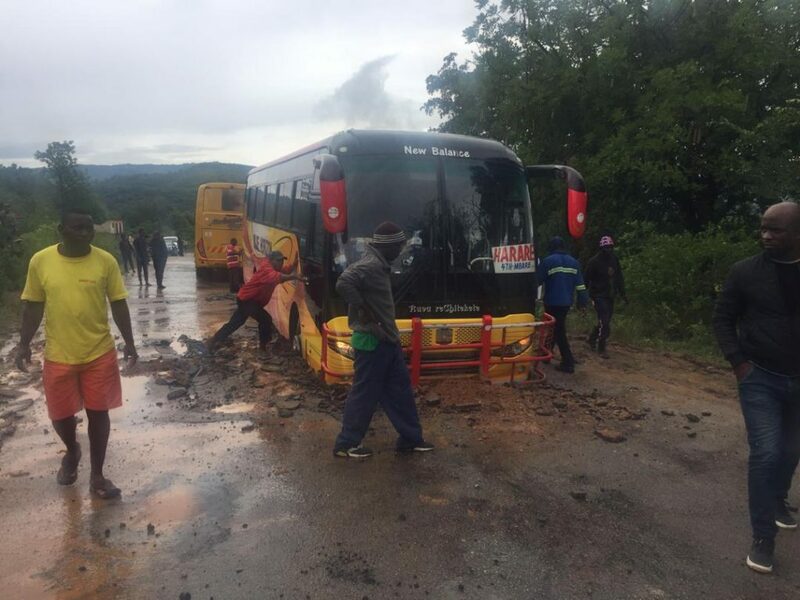 The Harare-bound Blue Horizon bus was stuck in the tarmac blocking all traffic, Some of the traffic was forced to turn back to either Chipinge or Mutare.